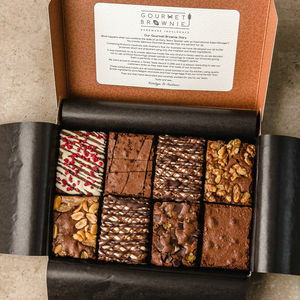 A box of 8 deliciously indulgent New York inspired brownies! 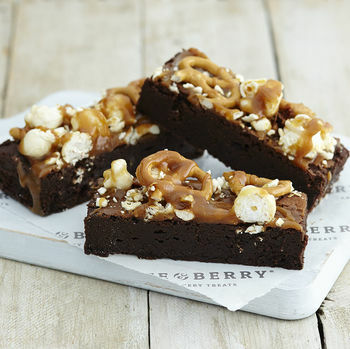 A gooey, chocolatey brownie, topped with lashings of caramel, salted pretzels and sweet popcorn. 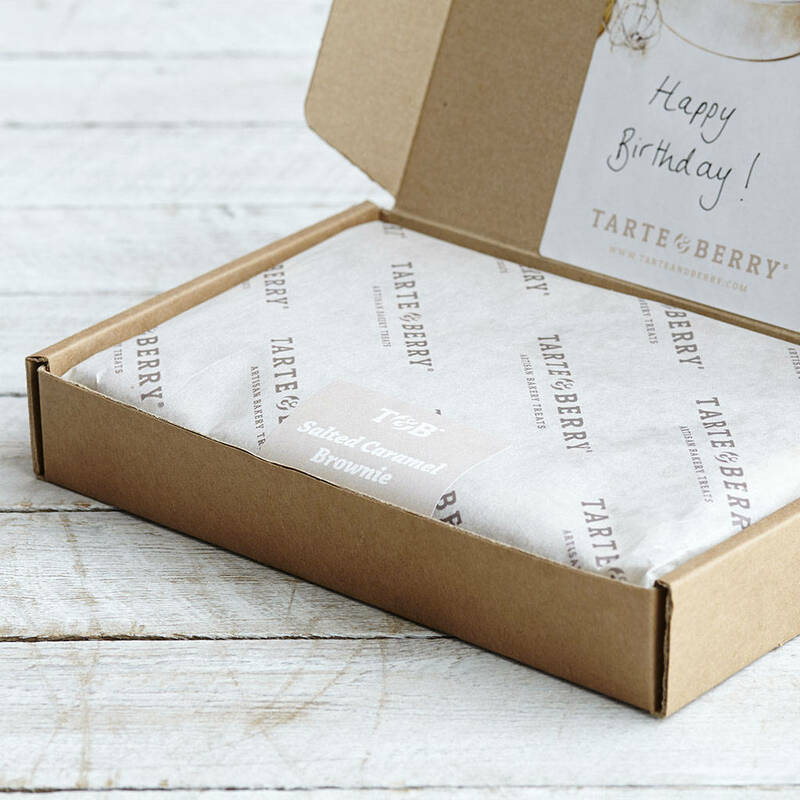 We are sisters Jane and Lucy Batham and we created the bakery brand Tarte and Berry! We bake award-winning treats which make the most perfect gifts and are suitable for delivery direct to any address in the UK! 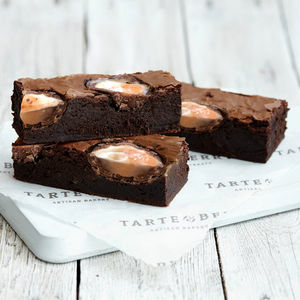 Your brownies will be baked with love using only the finest ingredients and are beautifully packaged in our Yorkshire bakery. Each comes complete with personalised message, if required. Your Pretzel Popcorn Brownie Box can come with a personalised message of your choice, if required! Simply enter your message in the box provided. They make for the most perfect gift for a loved one! These Pretzel Popcorn Brownies have been handmade with love in our Yorkshire bakery, using the finest ingredients. We use only British butter and sugar, local free range Yorkshire eggs and Belgian chocolate. Ingredients: Sugar, dark chocolate (soya lecithin), free range eggs, butter (milk), plain flour (wheat-gluten), cocoa, popcorn (glucose syrup, popped maize, butter (milk), single cream (milk), molasses, emulsifier (sunflower lecithins)), rapeseed oil, sea salt, dextrose, dried yeast, sea salt. 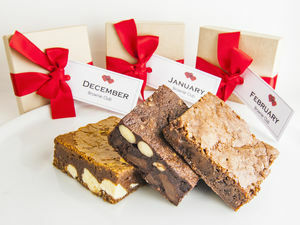 Your brownies will keep lovely and fresh for up to seven days once delivered and they can also be frozen for up to two months. 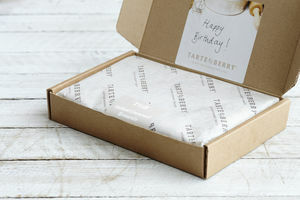 This product is dispatched to you by Tarte and Berry.